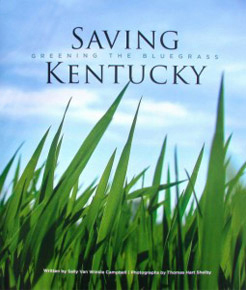 In Saving Kentucky – the Greening of the Bluegrass, with extraordinary photographs of Thomas Hart Shelby, Sally tells the stories of modern day remarkable Kentuckians who with fierce determination are preserving the qualities that make Kentucky unlike any other place in the country. A wonderful gift for bourbon lovers, illustrating the characther of a unique distilling family with strong kentucky traditions and a committment to quality. 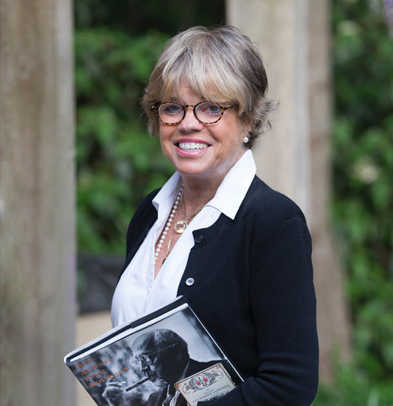 Sally Van Winkle Campbell writes, "Kentucky has a handful of industries that, in history, have been important-have let her stand up and be proud." One of those, of course, is the bourbon industry. But Always Fine Bourbon is the story of the Stitzel Weller Distillery, which, for a large part of the 20th century was known for making the finest bourbon in the world. 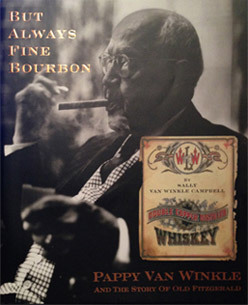 It's the tale of the Van Winkle family, of the legendary "Pappy" Van Winkle, of an era when businesses were still run by larger-than-life men who had other priorities than maximizing the bottom line. It's the story of the American Dream: the creation of a family company, so common a part of this country's history, but now disappearing in our age of mergers and acquisitions and excess government regulation. Turn the corner into Limestone Lane. Smell the pungent odor of whiskey being made. Drive past the guardhouse and the sign reading "We make fine bourbon, at a profit if we can, at a loss if we must, but always fine bourbon." It's a story anyone with an interest in bourbon, or Kentucky, or the history of this country will relish. The book is filled with large beautiful photographs. Depicting a simpler way of life in America. © 2019 VW Enterprises, Ltd. All rights reserved. Site design by windhamdesigns.com, Louisville, Kentucky.